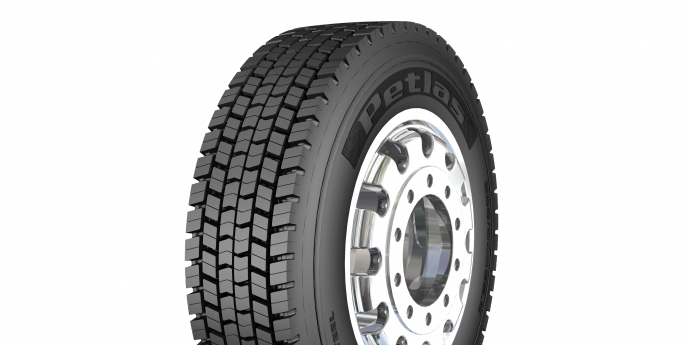 Petlas Tyres announced that four size of its Petlas and Starmaxx brand Truck and Bus Radial tires have been released by October 2013. Company started to develop TBR tyres program in the first quarter of 2012 and designed and produced with premium quality, having low rolling resistance, fuel efficiency, durability and long life. Petlas Tires has now introduced its 215/75 R17.5 SZ 300 ( steer ) / RZ300 (drive) and 295/80 R22.5 SH110 (steer) / RH100 (drive) sizes as its TBR program. As a second step in PETLAS TBR line, 315/80R 22.5 , 385/65R 22.5 , 12R22.5 11R 22.5 tire sizes will be produced in few months.